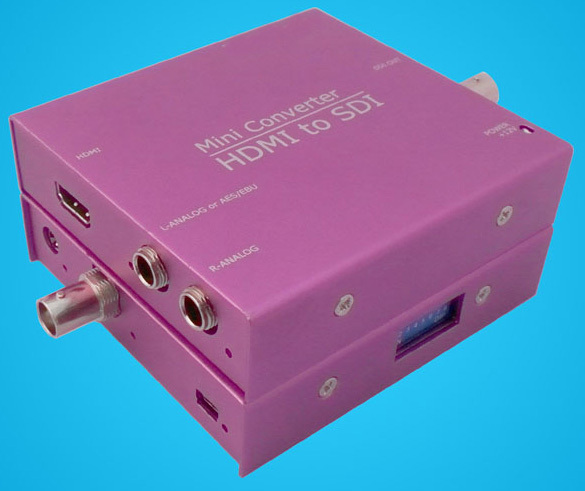 HDMI input to SDI output. Support input and output resolution of 480i, 576i, 720p, 1080i and 1080p. The LED indicator beside SDI interface lights when output SDI signal. When input analog audio signal, the LED indicators beside L-ANALOG and R-ANALOG light.